A side load forklift is a forklift truck that can remove the goods from the side without having to turn the truck. 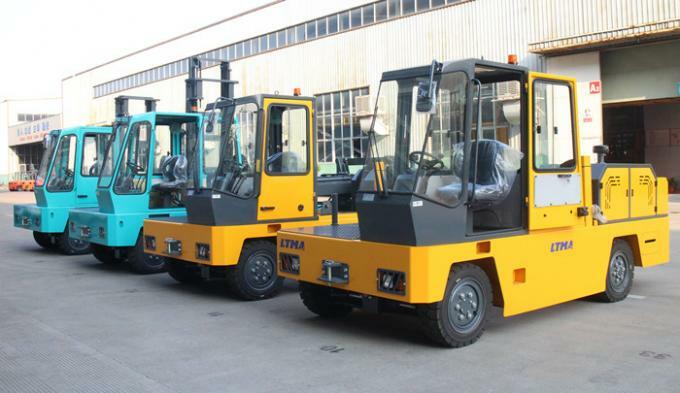 LTMA is a professional forklift manufacturer and supplier in China. Our side loading forklift is specially designed for handling strip materials such as batten and steel bar. 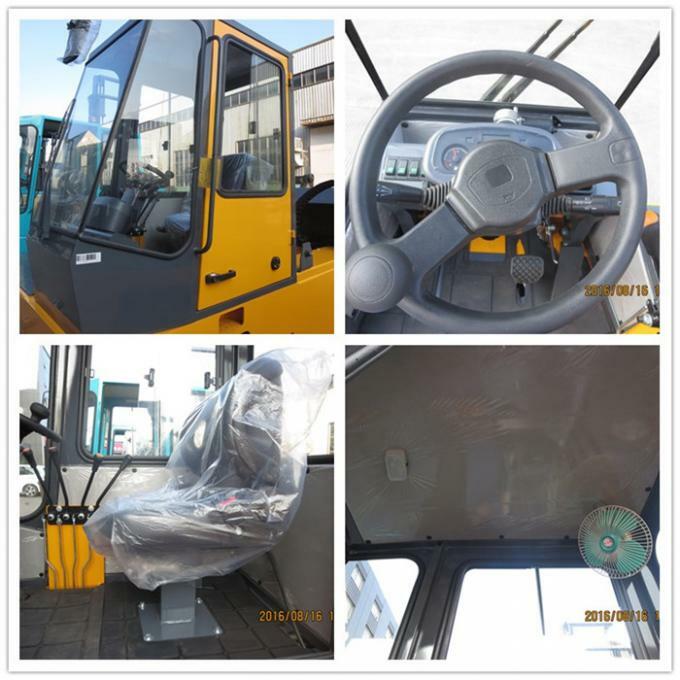 It adopts compact and reasonable structure from Italy, and uses hydraulic transmission for smooth and convenient operation. 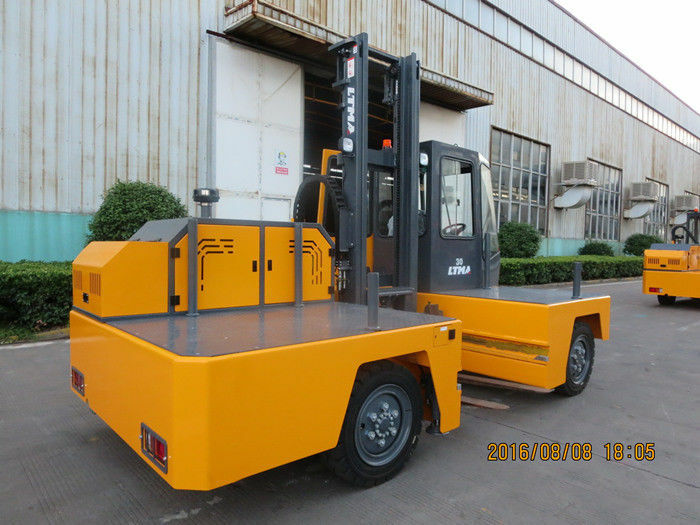 Our 3 ton side load forklift is a large industrial truck that features novel appearance, high performance, low emission, low noise, and low oil consumption. It is particularly suitable for loading, unloading and transporting long and heavy goods such as section bar, aluminum, wood, cement, wire rod, and more. Currently it is increasingly used in the ports, terminals, industrial and mining enterprises, stations, warehouses, timber yards, and other areas. Nowadays we have been sell more than 100 countries. All the products of LTMA supplied with one year or 2000 working hours (which occurs first) period quality warranty.